This piece was developed from the previous 'white wheel' installation - made using rice grains. 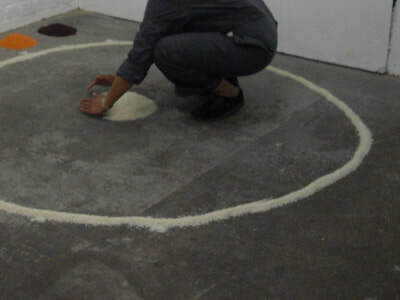 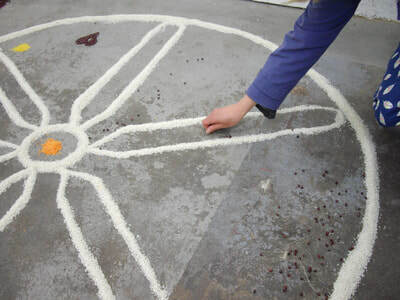 It is a re-enactment of a Tibetan myth that Buddha first drew the 'Wheel of Life' symbol using grains of rice on the ground as a way to describe to his disciples the continual rise and fall in the cycles of human progress, Here I have combined the 'white wheel' with the earlier 'free wheel' piece which was an installation where participants engaged with ideas around the subject of 'work' through quotes taken from artists, philosophers, writers and ecological and social activists. This new incarnation of 'Free Wheel' was presented as a live art installation in a space that was formerly a factory. 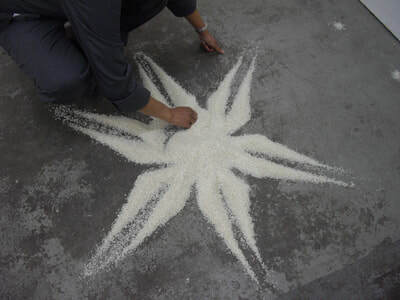 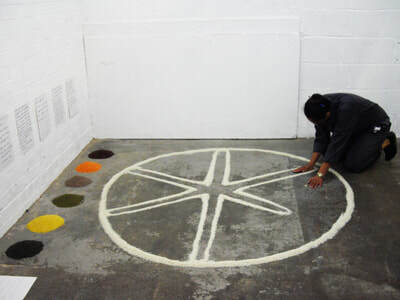 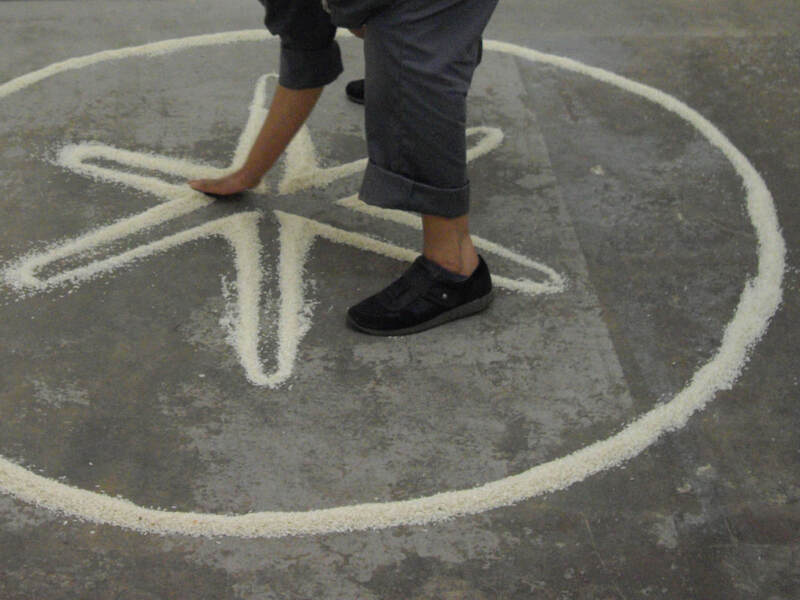 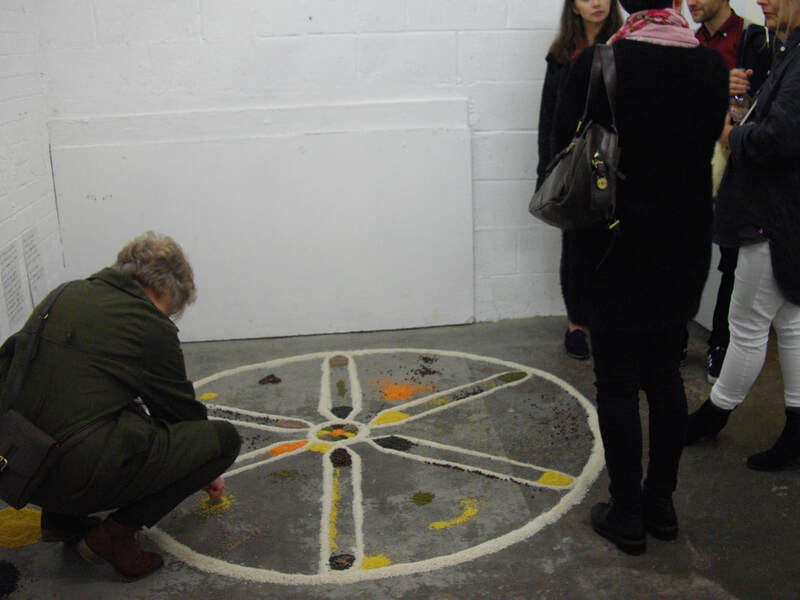 I created a wheel symbol with rice grains directly on the factory floor, now used as a gallery space. 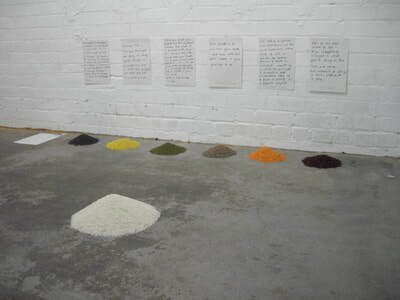 Audiences were asked to engage with the quotes regarding the meaning of work, each quote had a corresponding pile of lentils associated with it, and participants were invited to contemplate the quotes and pick up a handful of the lentils and place them inside the completed rice wheel. 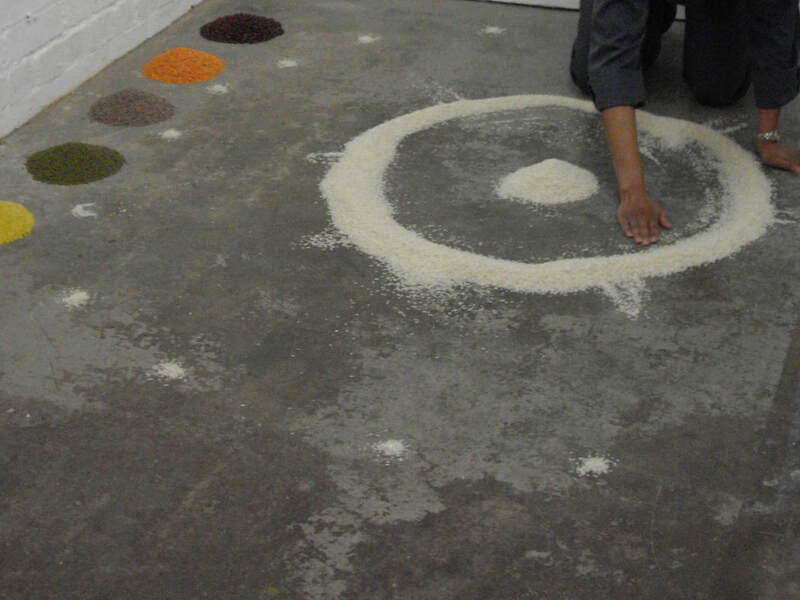 I chose to use the raw material of foodstuffs to create this piece, as food is a basic human need which drives the core of why we have to perform 'work', from obtaining food directly by growing and harvesting, or foraging, through to performing tasks to allow us to buy food to eat. Yet we perform work for many more reasons, and it's function goes beyond just this basic need. 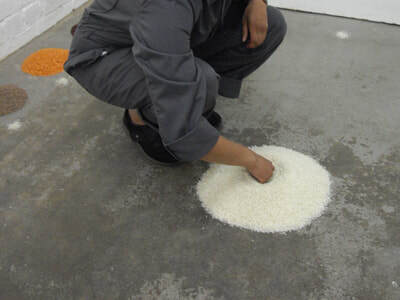 The increasingly automated manufacturing industries and growing use of artificial intelligence leads to our questioning the meaning and purpose of work in our contemporary world. The current resurgence of the hand-crafted and interest in going 'back to the land' challenges the progress we have made through automated systems of mass-production and prompts us to re-value human labour.